Unlike most Android devices, non of Apple’s mobile devices including the iPhone, iPad, and iPod touch have microSD cards support. This mean that your local storage (not including cloud services) is limited to the device internal storage. Since most people get the 16GB model when it comes to buying an iPhone, every GB you can squeeze of your device will make a difference. iOS devices specially the iPhone, love saving unnecessary files in storage. Those files later show up as “Other” in iTunes when you connect your device to a computer. 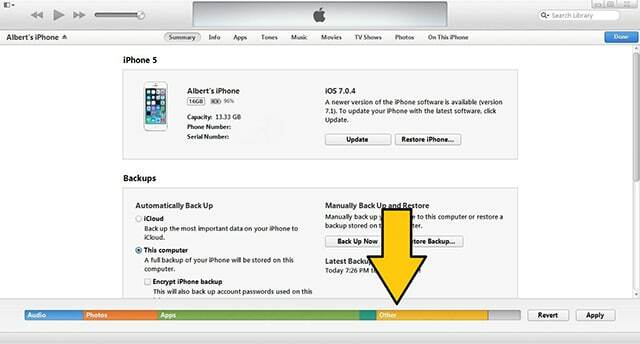 If your iPhone is running out of space, the best thing you can do is delete those unnecessary files of the device. There are many different methods of deleting those files. Those with a jailbroken device have more options and a more efficient method of deleting “Other” data. But if your device is not jailbroken, it’s still possible to delete files to gain more storage on your device. The “Other” files found on your iPhone are caches from apps installed on your device and iOS. If you’re a heavy texter, texting images and files, then there’s a big chance that your “Other” data is over 1GB. Apps are also responsible for consuming storage on your device with cache files. For example, apps like Facebook, Instagram, or Reddit, will cache all seen images so next time you return to the same image the image loads instantly. Received images on WhatsApp, iMessage, or Message will store those images unless you delete it manually. Those cached files become useless wasted space because after seeing an a picture on Facebook or Instagram people usually never go back and see it again, unless stalking someone. You can go to Settings> General> Usage to check which apps are consuming the most space on your iPhone. App consuming the most storage will appear first. The best and most simple way of deleting “other” on your iPhone is by connecting your iPhone on iTunes and restoring it the device. After restoring it, instead of choosing “restore from backup,” set your device as new. You will lose many files doing this so restore your contacts from iCloud and resync your music from iTunes. Your iPhone should now be completely cleaned. If your device is not jailbroken or you do not want to restore your device and set it up as new, you can still recover storage from “Other” data. This will, however, require longer steps and doing more things. 1. 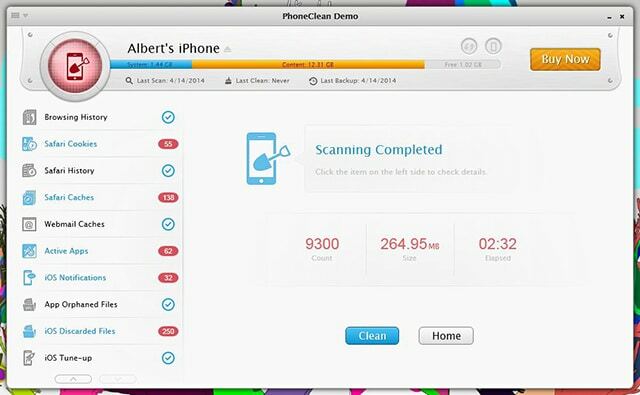 Download and install PhoneClean iMobie on your Windows or Mac computer. 2. Connect your device to the computer, open PhoneClean and select Deep Clean, then Start Scan. This will delete a bunch of unnecessary files from your device. Hit clean. 3. If you’re satisfied with the amount of data PhoneClean recovered you, then you’ll need to buy a license code to keep using the software. To avoid purchasing the a license, search on Google for an older version of PhoneClean, which will clean your phone for free, no license required. Delete email accounts. Go to Settings> Mail, Contacts, Calendars and hit “Delete Account”. This will delete any attachment sent using the deleted email. Delete apps and download them again. If you go to Settings> General> Usage, you’ll see which apps are taking the most space in its Documents & Data page after selecting the app. For example, when I select the Facebook app on Usage, the Document & Data tab indicates that Facebook is taking 350MB of data, which is bigger than the app itself. After reinstalling the Facebook app, it now only takes 16.5MB of data. Do this for any app that takes too much space in its Documents & Data section, usually more than 200MB. Delete MMS Messages conversations. This mean all messages conversation from any messaging apps like WhatsApp or the stock messaging app. If you want to keep the text, only delete conversations containing MMS messages including photos, gifs, audio, PDFs, and videos; those are the files that take the most space when they accumulate. Voice Memos. If you have many Voice Memos, delete the useless one. Those are audio files and usually take many space if the audio file is long. Data from Visual Voicemails stored on your phone. If your device is jailbroken then you’ll have more options to clean your device. With the app iCleaner from Cydia, you’ll be able to remove unnecessary files from your iDevice easily. With iCleaner you don’t have to delete useless files manually, like you have to on unjailbroken devices. This will make your life easier. Download iCleaner from Cydia, it’s free. After downloading iCleaner, open up the app. Upon opening the app, select “on” next to the Message attachments option. Turn on Safari, Applications, Cydia, Log, Cache, Temporary files, and Filetype clean up. Now select select Clean at the top-right corner. Once everything is done a message should show up letting you know how much space was recovered, then the device will reboot.